provides cosmetic treatments that will leave you looking and feeling great. Treatments from Dr. Owings, will revitalize your skin and take years off your appearance. Cosmetic injections from Jon M Owings MD FACS are less invasive and more affordable than surgery. Jon M Owings MD FACS is a cosmetic medical practice serving patients in and around the Huntsville, AL area. Our office is staffed by highly-trained and certified professionals with years of experience and a commitment to quality patient care. We are dedicated to providing our patients with effective cosmetic treatments that will get them the results they want. Do you ever feel self-conscious about wrinkles, crow’s feet, frown lines, or other signs of aging? 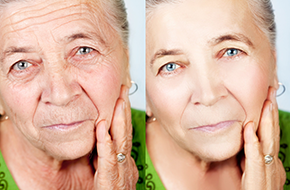 We grow wiser as we age, but the years can often take a toll on the appearance of our skin. With cosmetic injections from Dr. Owings MD FACS, you can enhance your natural beauty and turn back the clock on aging. Having the appearance you want gives you the confidence to move through the world and get things done without worrying what other people might think about you. Let us help you be your best self. 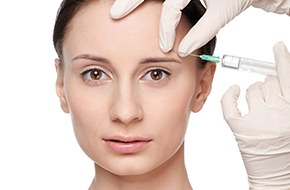 Cosmetic injections allow you to remove wrinkles, create volume, and rejuvenate your appearance. The process is quick, easy, and safe, and after a single, short session, you will look into the mirror and see a younger, more vibrant you looking back. We offer Botox injections, Radiesse injections, and Juvederm injections. These FDA-approved anti-aging treatments are each targeted at different facial areas and issues, and, based on a consultation with Dr. Owings, we will determine the best course of treatment for you. Cosmetic injections are safer, less invasive alternatives to cosmetic surgery. They provide long-lasting but not permanent results, allowing you the option to change your treatment plan or re-evaluate your goals without a permanent change to your face. Our friendly, caring staff provides personalized care based on the needs of the patient, and the satisfaction of our patients is our top priority. Contact Owings, to learn more or to schedule a consultation. We accept Visa, Master Card, American Express, Discover and Care Credit. Call For The Latest Offers!